Repair your marketing strategy with this maintenance directors mailing list from Bookyourdata.com. This professional maintenance management email database contains maintenance managers and directors, allowing you to connect with decision-makers, fix up your list of sales leads, and make deals using human-verified contact information. Maintenance managers are important people to connect with when you're trying to sell an organizational product or service, like a CMMS, bit of equipment, or repair service. 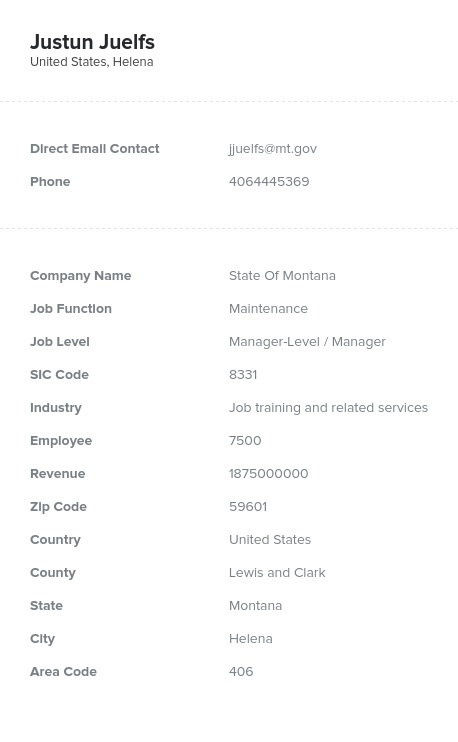 This qualified email database of maintenance directors is full of those sought-after contacts and includes everything from phone numbers to email addresses to company information. Here, you can pull numerous individuals with the title of "director of maintenance" or "maintenance manager" into one database so your direct sales team can email leads easily. Having a maintenance directors email list is one of the best ways to make more sales because you'll be able to email, write to, and call those who would be most interested in your product or service directly. Targeted business email lists re Bookyourdata.com's specialty; we find the maintenance management contacts you need and put them in one easy-to-download data product. That's why we're where to buy email lists: We can pull bulk emails of directors of maintenance within moments and save you time. A director of maintenance would likely be interested in many types of equipment, safety programs, organizational software, or anything that will help them do their job. Purchase email lists like this list of maintenance and repair managers to start connecting within minutes.